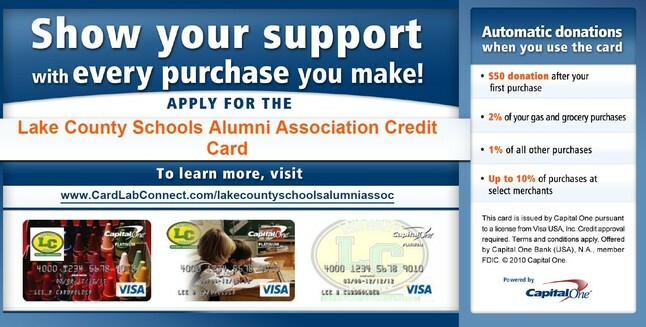 The Lake County Schools Alumni Association needs your support! The association is entirely funded by donations. There are no paid employees of the organization, all work is done on a volunteer basis. To promote, manage and award scholarship funds for deserving students. To provide a channel of communication among Lake County Schools, its graduates, students and other persons interested in the welfare of the school and community. To maintain a database of graduates and students from Lake County Schools and to coordinate reunion activities. To preserve memorabilia from Lake County Schools. To cultivate the heritage and dignify the traditions of Lake County Schools. This fund supports pays for our day to day operations of the association such as: mailings, postage, domain fees and general expenses of the seven free alumni web sites we support. This fund is for the Alumni Association Scholarship that is given annually to a LCHS graduate. The amount of scholarship varies from year to year depending on the amount of donations. This scholarship, established by the LCSAA, is given to honor the work and life of alumna Laurel Jones Childs (LCHS 1976). Laurel's career in education for over 20 years was her Christian ministry to young children and their families. Laurel's friends and family have established a $500.00 award that will be given to a male or female graduating from LCHS and has been accepted into college and has chosen Education as her or his major. It is the desire of the Alumni Association to give the award to someone who shares Laurel's Christian values and will pass those on to the children he or she teaches. An acknowledgement of your donation will be sent to the Jones/Childs families. There are always many outstanding projects to do year around and during the reunion. Should you wish to vounteer your time, please email me.